The plant’s name in many languages refers to its grand appearance: "swanflower" in Estonian (luigelill) and in German (Schwanenblume), Brudelys ("bride’s light") in Norwegian and Danish. It has large beautiful white and purple flower umbels. Flowering rush is typically found in shallow shore waters; the leaves are strong and have sword-like sharp edges. 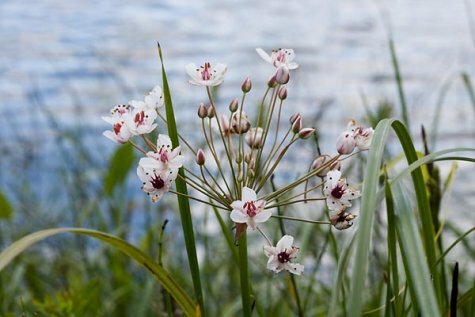 A find to enjoy since flowering rush is not common and grows mostly south of central Estonia.